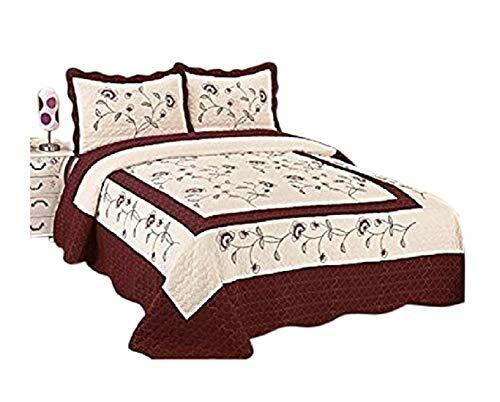 Brand New 3pcs fully quilted embrodiery bedspread coverlets quilts Bed covers set One size can fit Queen or King size bed 102×94″”. 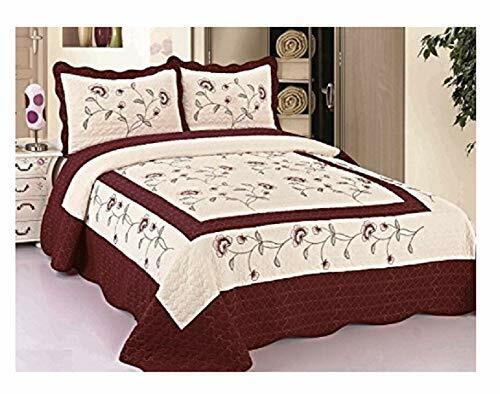 This lovely bedspread will create an oasis of serenity for any bedroom. It’s perfect for your own and guest room. Beige with embroidery combine with rose, sagegreen, aquablue, burgundy, taupe. and taupe with embroidery combine with brown.